With another pair of equity index historic highs - sp'2087 and Dow 18086, this remains no market for the bears. With just four trading days left of 2014, its time to take at least one day off :) Merry Christmas to all traders! 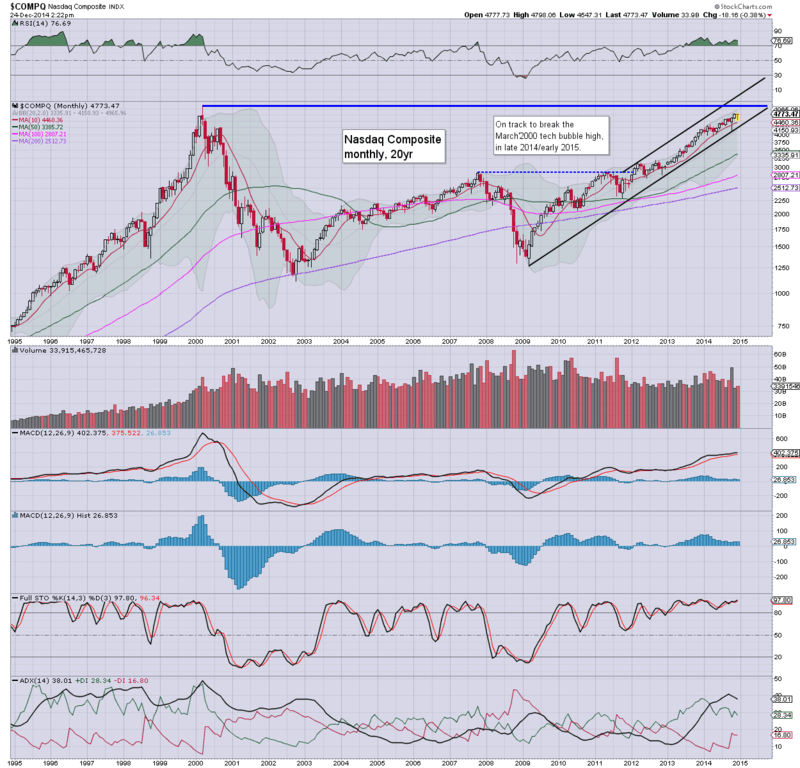 Headed for a challenge of the March'2000 tech bubble high of 5132. 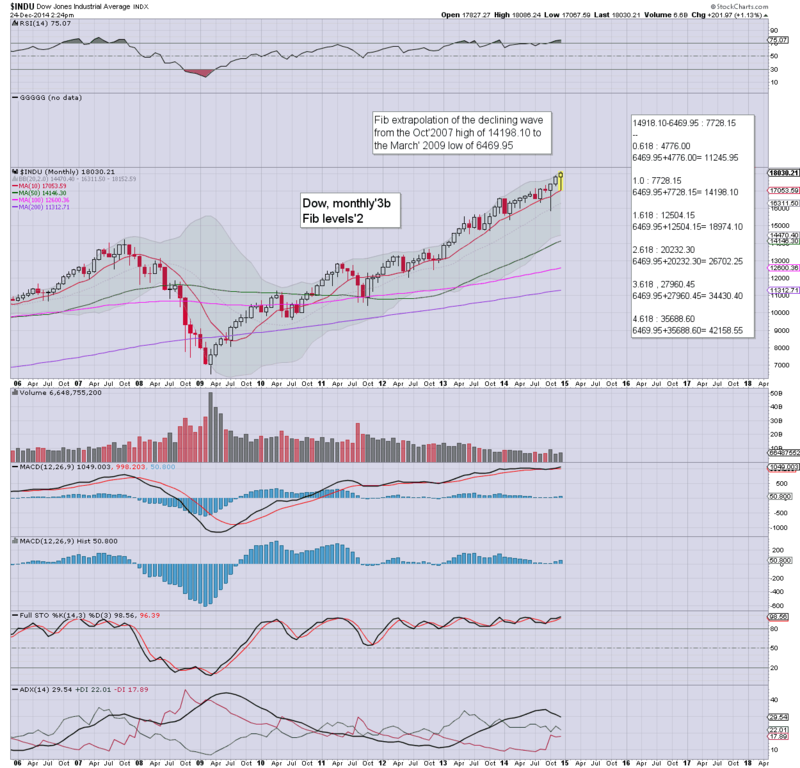 On any monthly close in the 5200s.... next target will be 7k. Next key fib' is 18974 (the sp'500 equivalent is 2138), any monthly close in the 19000s will offer an easy move to 20k... if not 26k by late 2015/early 2016. Another spike-floor monthly candle (if moderately red)... with the FTSE having been stuck for some two years. 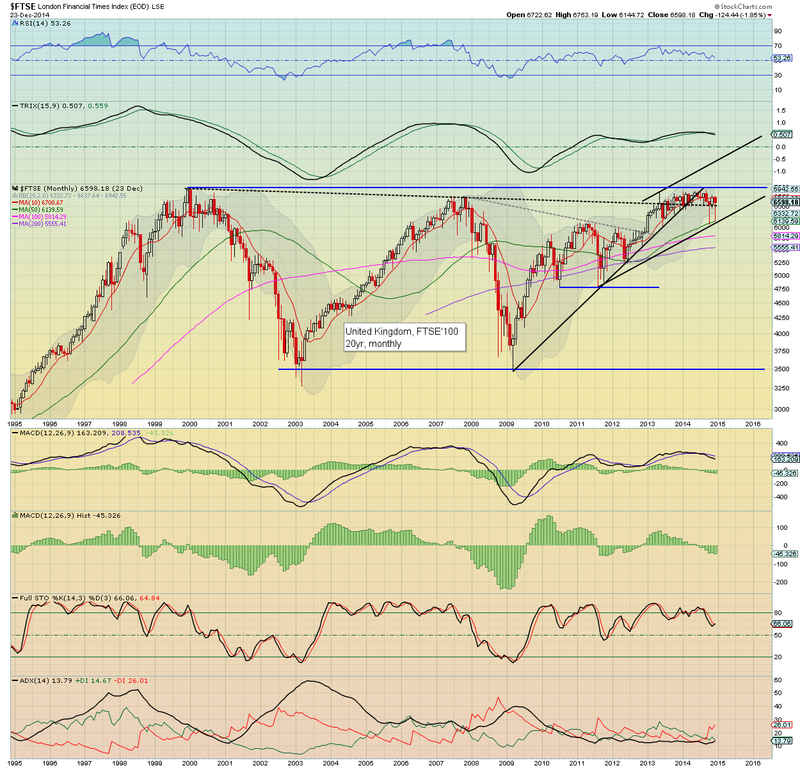 However, any monthly break above 7k would be highly suggestive of 10k.. before the current paper/QE bubble blows up. The sixth consecutive monthly gain... with a notable break into the 90s. The giant 100 threshold looks a given... and even the mainstream are starting to talk about the 120s. Armstrong is alluding to a target of 160. This chart brings up a lot of issues, but suffice to say... I see rates rising from here. The US capital markets should be able to cope with the fed raising rates in the first half of next year. The next equity collapse wave seems viable no earlier than spring 2016, with 'prime time' across 2017/18. Friday has no scheduled data of importance, but it will be a full trading day. 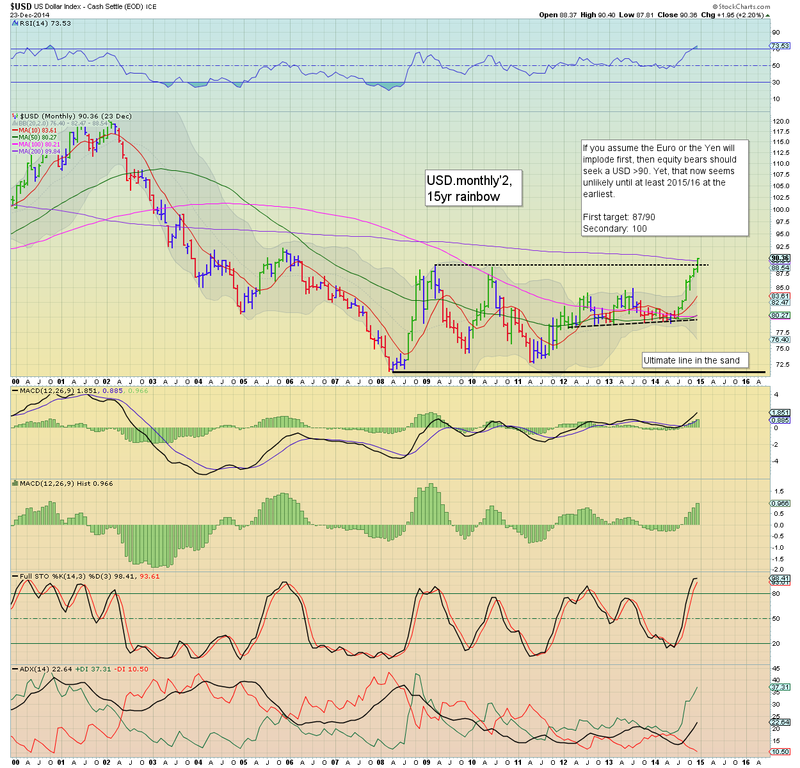 Traders should be mindful of Oil/energy... but more so... a likely new historic high in the R2K. 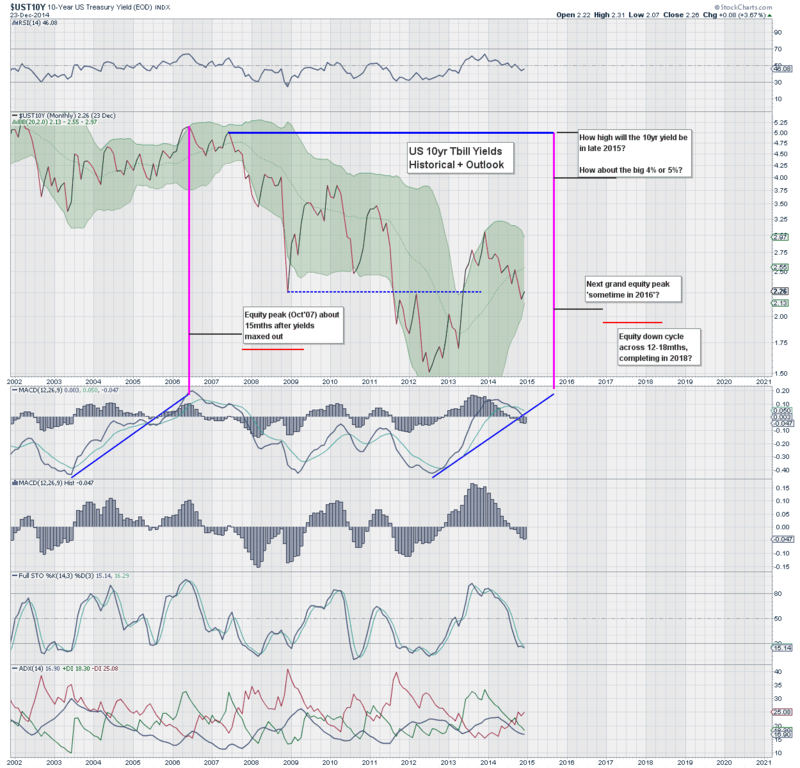 A break above the July peak of 1213 would be a powerfully bullish signal for the broader market.